How much things a man wish that would happen in his life? What these wishes he had made called? Aren't they his dreams? Here Dreams means a kind of desire to have it. I don't means the kind of dream which we see during our sleeping time. The Dreams during our sleeping times which we observe are not in our control that we see because our sub-conscious mind activated during rest and it reflects actions that imagined with fear, excitement or depression, etc. What I am talking about the dream which is the wish which people want to receive through this or that ways with some sorts of road map to move forward to achieve it. The dreams to get or have something is not exactly the dreams in your life without any vision or a clear path to get there without which its like just an imagination. 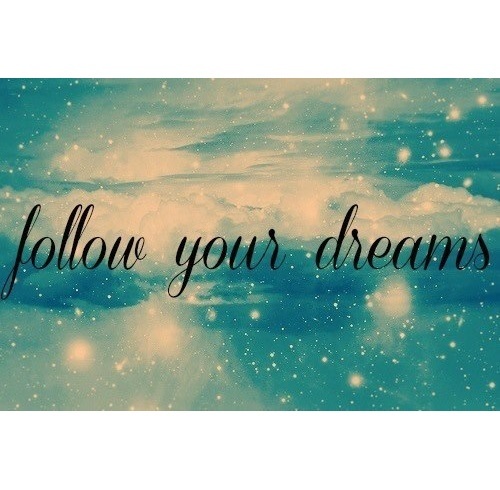 Don't forget to follow your dream. Is every Dreams of people get fulfilled? No, no ones dreams fulfilled easily to make your wish dreams true you should have to do a lot. Without any good planning nobody dreams would get fulfilled. We can say that it's difficult to fulfill everyone dreams easily because everybody have dreams interconnected with one another those who get able to prepare a favorable environment quicker would get success. That was not as easy as he dreamed. So, dreaming is not only great unless it get fulfilled. While I am saying that I am not ignoring the need to dream higher to get. As, the dream puts a target to accomplish some work in certain time. Thus, one should dream about doing or achieving something in his life to make his life worthy and additional to that the dream should not remain as it is some action should be taken to get close towards its achievement. Are you same as your Parents Dreamed? Have your dreams fulfilled today that you thought you would make them come true today some few years back? Why are many of us stuck within the answer, no? These all means it's easy dreaming then to get it fulfilled sometimes some people even afraid of dreaming too. So, what should we do to get it fulfilled, we everyone know what should we do to make our dreams fulfilled that's keep doing until you get it. Think what you have dreamed about and where has it's progress reached in every interval of time whether you leave the track away from your destiny or you are in right path. Review your dreams and observe your achievement. Are you satisfy with that progress or you need to do a lot? You judge yourself. No one is good judge than you to judge you. If you are right and in the way to progress your inner heart told you are doing well, you need to make some change in your way of doing needed to get faster and easier, etc.or if not doing well your inner heart speaks and tells you are not doing well you need to improved a lot in this or that way to get your dreams get fulfilled. You may have dreamed to achieve the academic excellence with good marks, you may have dreams to earn a lot of money to make life easier, you may have dreamed to make your every family member happy, you may have dreamed to make someone your life partner, you may dreamed to work as a social worker, etc. whatever I wish your every dreams will come true or turns into reality after sometime just it needs your devotion in your respective works as per the goal. 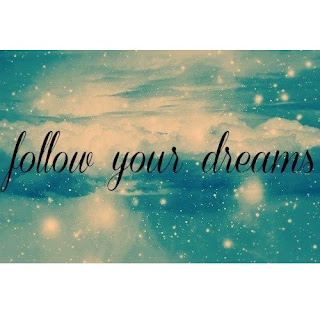 To be a successful in life you need to be a good dreamer and keep following your dreams.